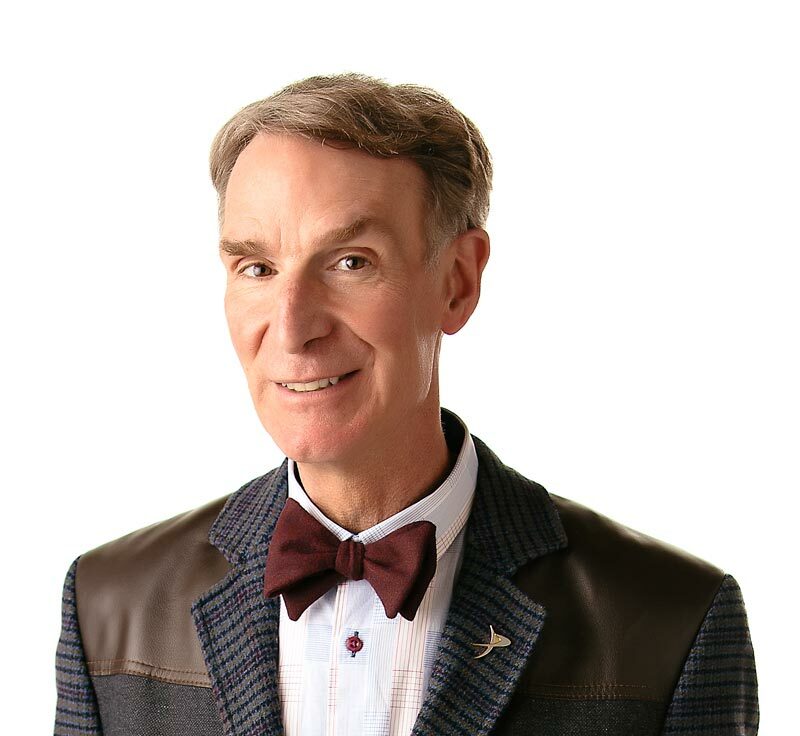 Space out with Bill Nye to learn more about comets and meteors. Outer space is full of stuff. We’re not just talking about planets and moons. There are some bits and pieces, too small to be noticed most of the time that float around and occasionally run into all those planets and moons. Comets and meteors are the big bits of dirt, rock and ice that inhabit our Universe. More than just high-speed space chunks, comets and meteors carry important information about the history of our Universe. Comets are large, icy rocks, sometimes we call them “dirty snowballs,” that travel to the edges of our solar system and do not return for many, many years, hundreds, thousands even millions of years! When a comet passes close to the Sun, it evaporates a little and its rocks separate, making long tails of gas and dust. Meteoroids are rocks that travel through space until they collide with another body – which they frequently do. Meteoroids constantly collide with the Earth. In fact, everyday tons and tons space dust enters the atmosphere and burns up, sometimes creating the blaze of light that appears to us as a shooting star. The Moon and other planets are pounded by space debris, too. The craters on the moon are the result of its being bombarded by space rocks. Meteorite impacts leave scars where they land. But collisions don’t only leave craters – the Earth’s impact with comets and meteors may have created the Earth’s oceans, caused the extinction of the dinosaurs, or even brought life to Earth from Mars! Comets and meteors are chunks of ice, rock, and dust that orbit the Sun. Planets and moons are showered with tons of comet and meteor dust every day. Sometimes comets and meteors form craters on planets and moons. Meteor showers happen when the Earth crosses the trail of debris left by the passing of a comet? In 1966, the Leonid meteor shower was so intense that it was called a meteor storm. Astronomers estimate that there are at least a trillion comets roaming around beyond Pluto in an area called the Oort Cloud? Some scientists believe that Pluto may actually be a comet, too, and not a regular planet like ours! There are roughly 8,000 bigger-than-a-coconut pieces of junk from past trips into space being tracked in orbit around the earth? That doesn’t seem like much, except that there are tens of thousands of smaller crumb-sized pieces that Shuttle astronauts have to avoid running into! It has been guessed that micrometeorites — meteorites so small they drift to the ground without vaporizing– may add 1000 dusty tons to the mass of the Earth each day? “Meteors: The Truth Behind Shooting Stars”by Billy AronsonFranklin Watts, 1996. “Comets and Meteors”by Isaac AsimovDell, 1991.